Anyone that has ever walked into an REI or Cabelas will know that there’s basically an endless supply of widgets and gadgets available for camping. Do you want an outdoor oven? Sure, they make that. How about a 12-volt blender? You can have it. Need a rolling cooler with an integrated sound system and charging for your phone? Oh yeah, they’ve got that. With so much gear out there, it can be hard to sift through it all, especially when it comes down to smaller and less expensive items. That’s why we’re starting a little series called Gear Goody Bag. As you’d expect, it’s packed with a fun mix of products we’ve been using during the past few months, and each is accompanied by a brief look at what we like and what we don’t. 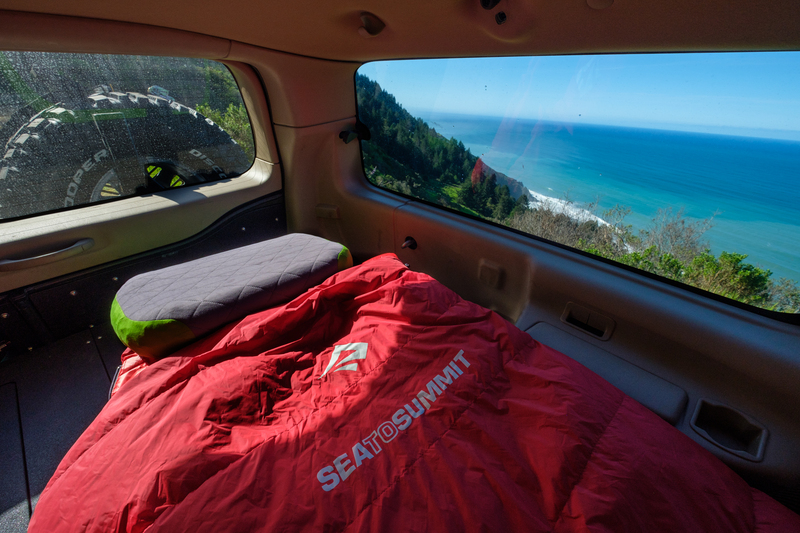 There’s plenty of cheap recovery gear out there, but when you’re relying on it to get you home, you need something built to last. That’s why we decided to pick up a set of soft shackles from Treaty Oak Off-Road, a small business based in Houston, Texas. Treaty Oak’s recovery products are made to order right here in the USA, with the quality and craftsmanship you’d expect from a business built on passion and professionalism. Each shackle is designed to last a lifetime with high strength plasma fiber used inside, and a special abrasion guard along the length of the exterior. 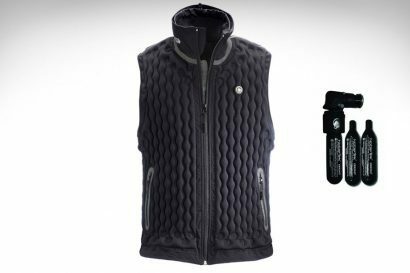 This combination gives them excellent durability and prevents the inner fibers from being torn, cut, or worn by surrounding debris. 5/16”, 3/8″ and 1/2” size are available, with working load limits ranging from 5,800 lbs to 12,500 lbs. You can even request custom colors for just $5 more. There really isn’t much to complain about with this product. Our only criticism would be that they are a bit stiff when you first start using them. This can make maneuvering them through recovery points and other equipment difficult. Fortunately, they do loosen up with use. The Treaty Oak shackles have done right by me every time I’ve needed them. They’ve stood up to the punishment of hauling my Excursion, and survived the rigors of Australian rainforest recoveries. 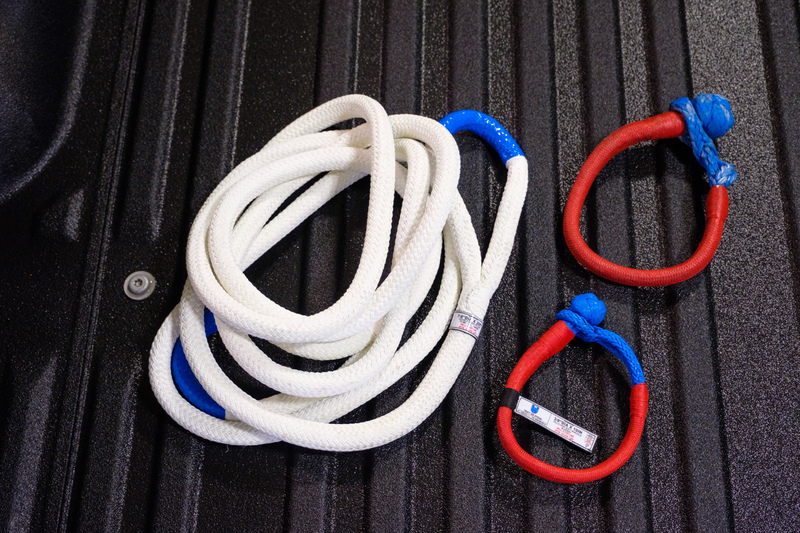 They’re lighter and safer than traditional shackles, just as durable, and are made down in Texas. 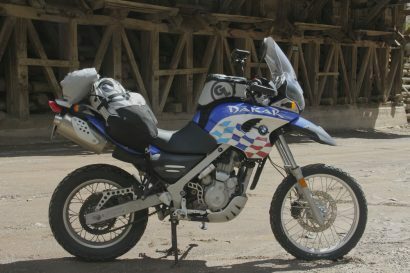 Overall, an excellent addition to any off-road vehicle. Pricing Starts at $55 USD. To learn more, visit their website here. 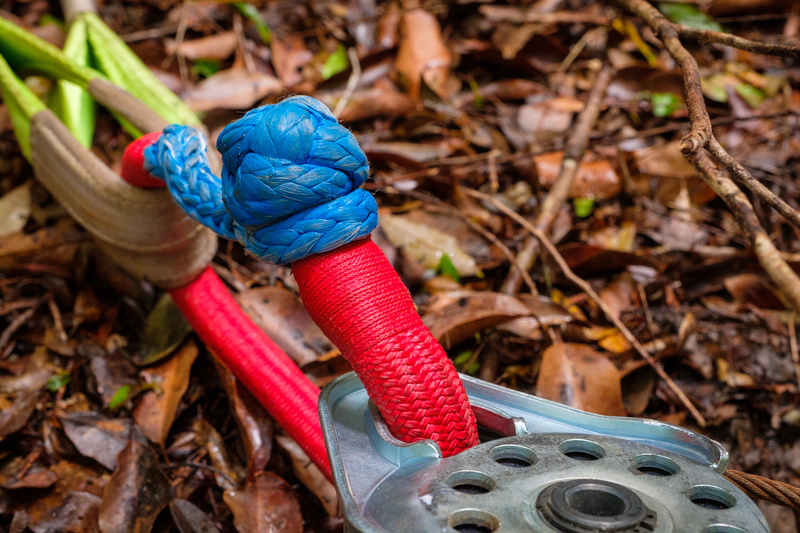 If you haven’t tried out these gear ties, then prepare to have your organizational mind blown. 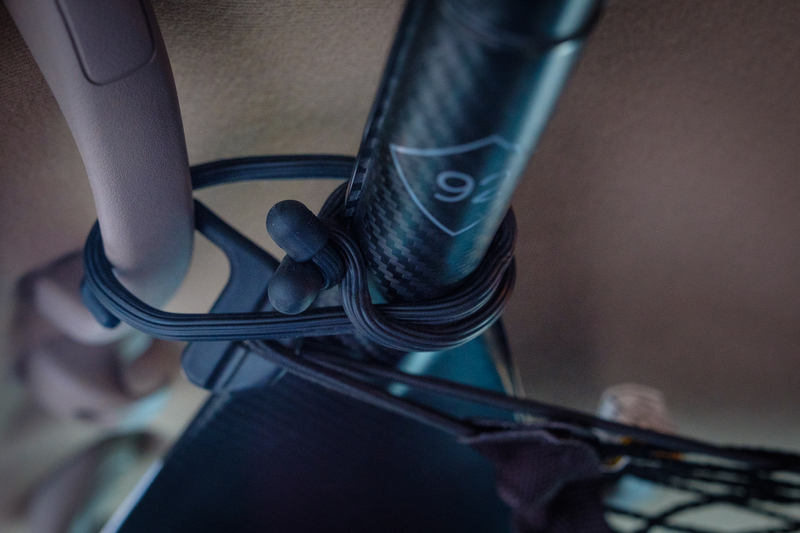 From taming your mess of computer and phone cables to securing gear inside your truck, these malleable rubber ties are lifesavers on the road. Each tie has a rubber outer shell that grips easily, with a strong wire core that forms to whatever shape you bend it to. That combination makes them perfect for almost any task you can think of. Currently, I have a carbon fiber paddle for paddle boarding secured to the ceiling of my Excursion, and we have used them to tie drawers in our trailer down, hold recovery ropes neatly in a loop, and hang lights from our awning. Hell, we’ve even seen people letting their teething babies chew on them, though we don’t recommend it. These things rock; no complaints. Nite Ize Gear Ties can help you organize and simplify things in every aspect of your life. They’re cheap, effective, and can be used in a seemingly endless number of ways. What’s not to like? Pricing starts at $4 USD. To learn more, visit their website here. 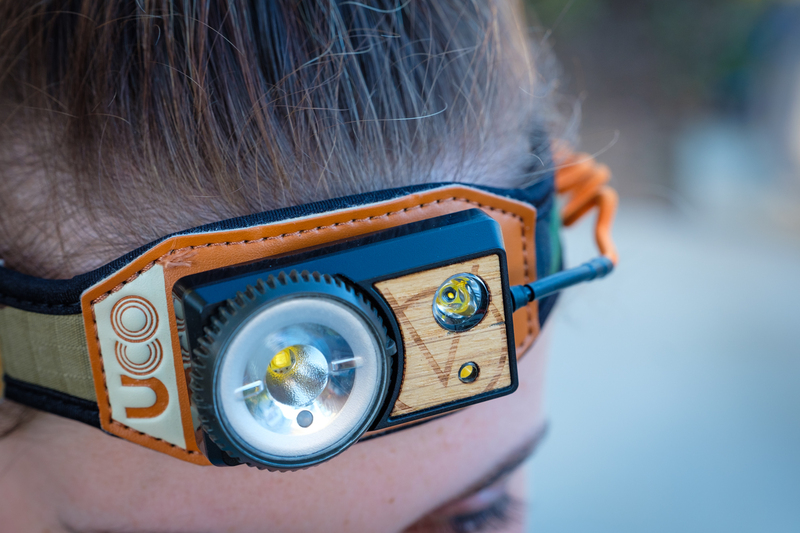 It doesn’t take a gear junkie to see that the Vapor head lamp isn’t your everyday light. Its odd shape and vibrant color options feel somewhere between tactical, hipster, and alien, but if we’re honest, it’s working for us. Our test model was a USB rechargeable vapor plus, which can pump out up to 300 lumens from three LEDs. The Vapor’s biggest win was simplicity and ease of use. The lighting is controlled by an easy to adjust infinity dial on the lamp that gets brighter the further you twist. Turn the other direction, and the lamp goes to red light for retaining night vision. I found that this was a much quicker and less aggravating system than the single, double, and triple clicks used on other headlamps. Exchanging the button for a dial also means the light never clicks on accidentally in your glove box, an issue that left me in the dark on several occasions with my Black Diamond lamp. We also dug that the Vapor’s 520 mAh Li-Ion battery pack was rechargeable, but that normal AAA’s could be used instead when needed. Unfortunately, those AAA’s will be needed fairly often if you spend any real time in the field. 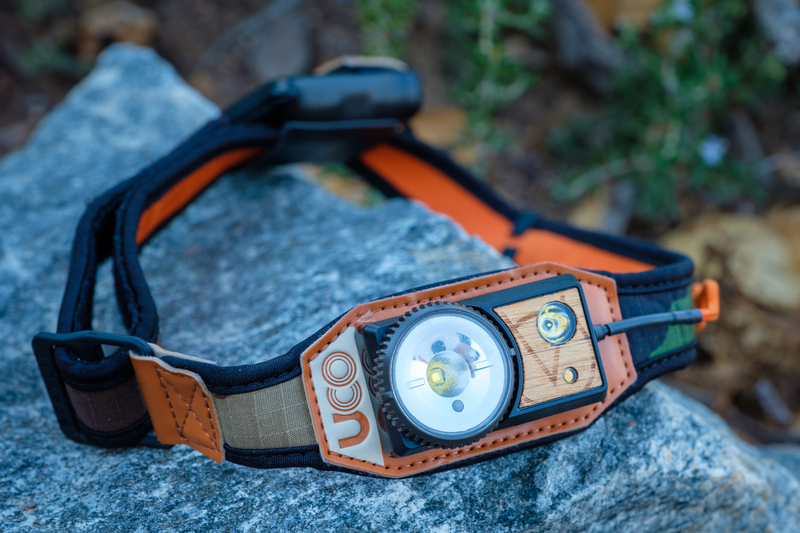 UCO’s website states that on low (5 lumens) the headlamp will last 40 hours, but turn it to medium (150 lumens) and that plummets to 2 hours. 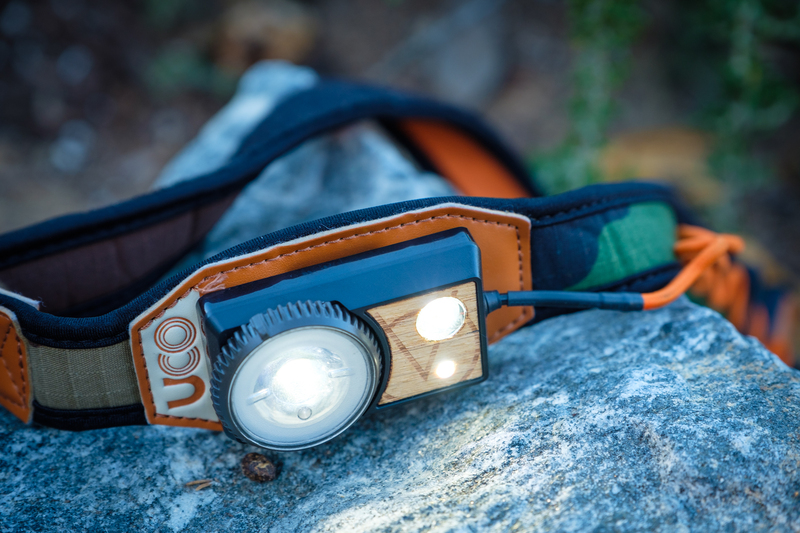 On high at the full 300 lumens, your battery will die after just 48 minutes. Compare that to the similarly priced STORM light from Black Diamond, which lasts 40 hours on high, and that looks like a major flaw. Still, we found the battery life to be adequate for our primary use in camp. We would plug the rechargeable USB cable into the truck each day and have a light ready to go at night. 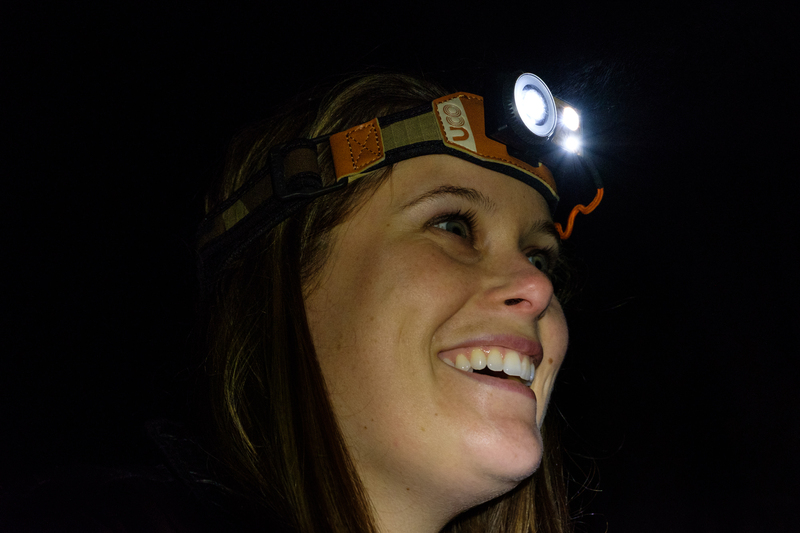 Despite the shorter battery life, we really enjoyed the UCO headlamp. It’s comfortable, unique, easy to use, and won’t turn on in your truck unexpectedly thanks to the dial adjustment. Just make sure you carry some spare batteries or recharging cables. Pricing starts at $50 USD. To learn more, visit their website here. This might come as a shock to you, but I really like the outdoors. Yes, it’s true. I love every second of exploring the mountains, forests, deserts, and plains of this beautiful place called Earth, but that doesn’t mean I want to be covered in them. While in camp, I like to have a space to walk around, stretch, or relax without coating my feet in dirt and twigs, and for that, we picked up a comfort sand-free mat from CGEAR. The CGEAR mat uses dual layers of polyester/PVC blended mesh fabric to isolate you from the ground below. The bottom layer sits on the surface, while the top layer floats above it, remaining clear of debris. This allows it to be lighter than a thick canvas tarp, while still providing the same coverage. It also makes it much easier to clean, as the material is waterproof, and the dirt simply washes out of the gaps in the mesh. Durability is good, with no signs of wear after months of use. 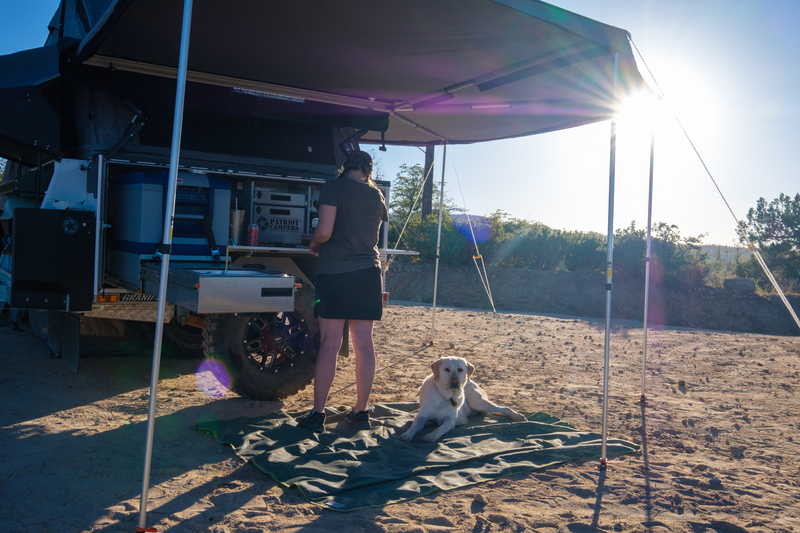 Their website shows the mat on beaches and at picnics, but we found it to be perfect for the space in front of our tent or truck, enabling us to roll out in our socks and comfortably get ready without dirt and twigs sticking to our feet. We especially loved using it as a patio in the morning. A perfect place to walk outside and enjoy a cup of coffee without having to lace up our boots. As with any piece of gear, this mat takes up space, and the dual layers can make it bulky to fold away. 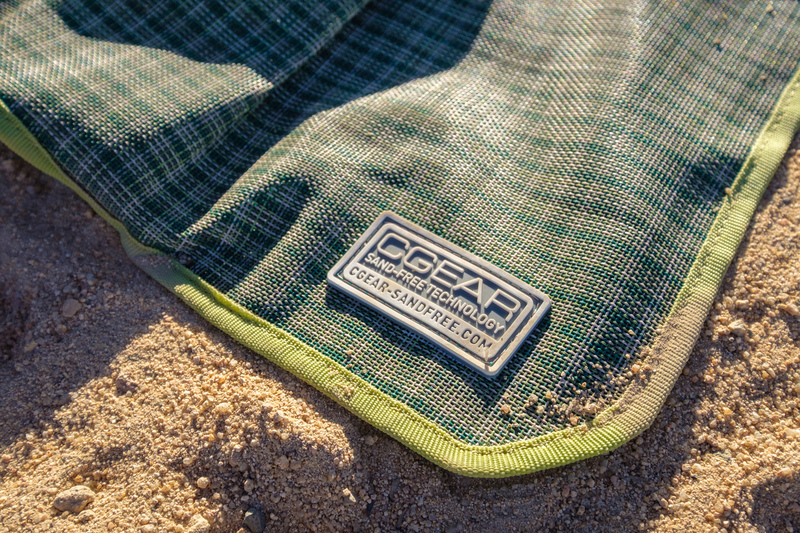 The CGEAR Comfort Mat is an excellent addition for anyone who doesn’t want to track dirt into their vehicle or tent, and ideal for people who want a clean space for their base camp. It’s a good product if you can spare the room. Pricing starts at $40 USD. To learn more, visit their website here. Finding the right camp pillow can feel a bit like playing Goldilocks. We’re searching for something that’s not too hard yet not too soft, and not too big or too small. We want a portable and packable pillow that still has all the comforts of home. I’ll admit that finding such a perfect combination might be an impossible task, but Sea to Summit has at least come close with the Aeros. The Aeros packs down into a bag small enough to fit inside a coffee cup, making it easy to store in the vehicle or take along in a bag. It inflates quickly using a two-valve system, and only requires around three good breathes to hit an optimal inflation level. The top of the pillow is covered in a soft 50D polyester knit that is surprisingly comfortable to lay your head on, and a synthetic fill between the casing and the bladder wicks away perspiration. It is also curved to fit the contours of your body, and works for both side and back sleepers, though you may need to alter inflation levels for each. Thlightweightht materials used in the Aeros aren’t exactly silent, so shifting around a bunch will make a crackling noise that some people will find annoying. I have been using this pillow day in and day out for months and continue to love it. It has traveled with me across several countries, been tossed between trucks, overinflated, and crushed beneath gear without a single leak or issue. If you’re looking for a compact camp pillow at a decent price, the Aeros is worth a shot. Pricing starts at $43 USD. To learn more, visit their website here. Campfires are one of the best parts of camping, but sometimes they can be a matter of life and death. Whether you need to keep warm, cook food, make a signal, or just get that fire going before your kids kill you, these flame-producing products from UCO will do the trick. 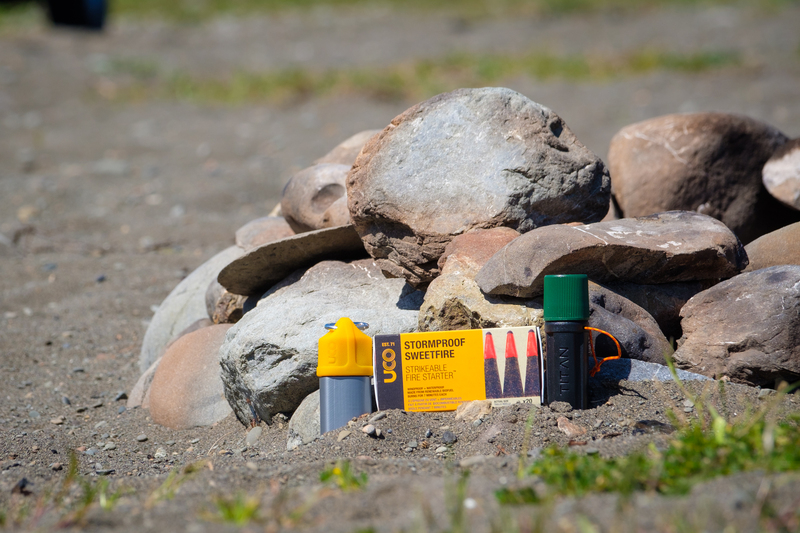 Both the Sweetfire starters and Titan stormproof matches were awesome additions to our camp kits and can be used in both everyday scenarios or emergencies. The Sweetfires are submersible, windproof, waterproof, and can be struck directly on the box eliminating the need for any outside elements like dry tinder. They have a burn time of 7 minutes, or 15 minutes for the behemoths, which is long enough to get even wet sticks going in bad weather. The Titan matches have all the same attributes, and come in a dry-storage tube which can be attached to a survival bag or thrown in your glovebox. They burn for roughly 25 seconds, which is impressive for a match. 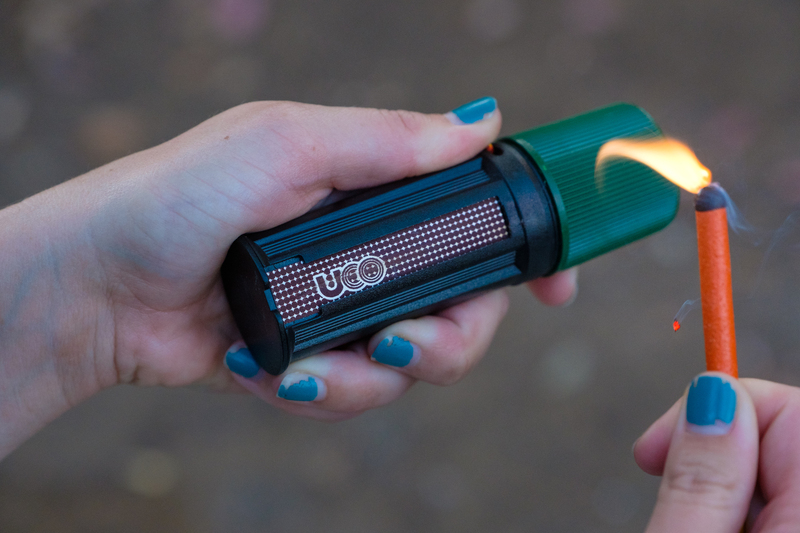 We also tested UCO’s survival torch, but didn’t love it. It comes wrapped in three feet of “utility tape” and can produce a strong flame, but it doesn’t include fuel or work much better than your average lighter. Overall, we found the fire-starters and matches to be more useful thanks to their long burn times and weatherproof nature. The torch just felt too much like a cheesy survival tool. If you want an easy way to start a fire, or a solid addition to your emergency kit, try out the UCO Sweet fires and Titan matches. If you’re looking for a lighter, maybe stick to a BIC. Pricing starts at $10 USD. To learn more, visit their website here. Remember when you needed to haul something on your roof, so you used pool noodles as padding? Well, that was still me until I discovered Rhino Rack’s universal bar pads earlier this year. 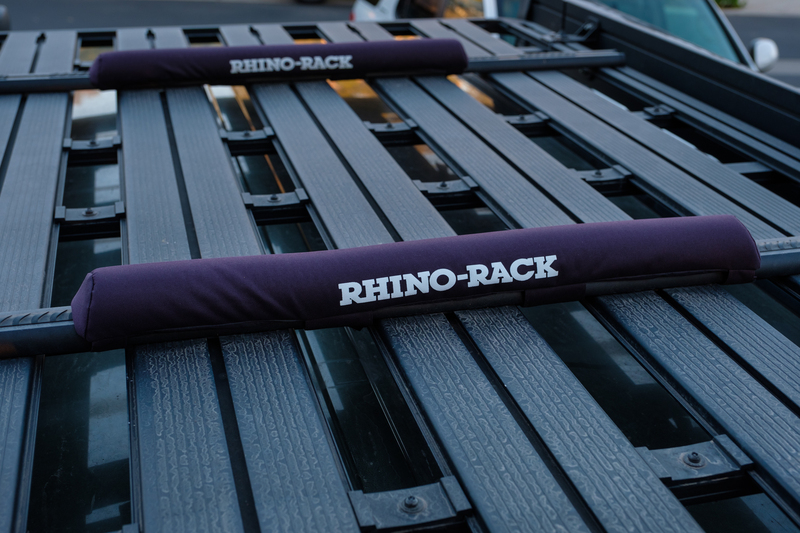 The Rhino Rack pads strap straight onto round or square load bars from nearly any manufacturer using high quality velcro straps. 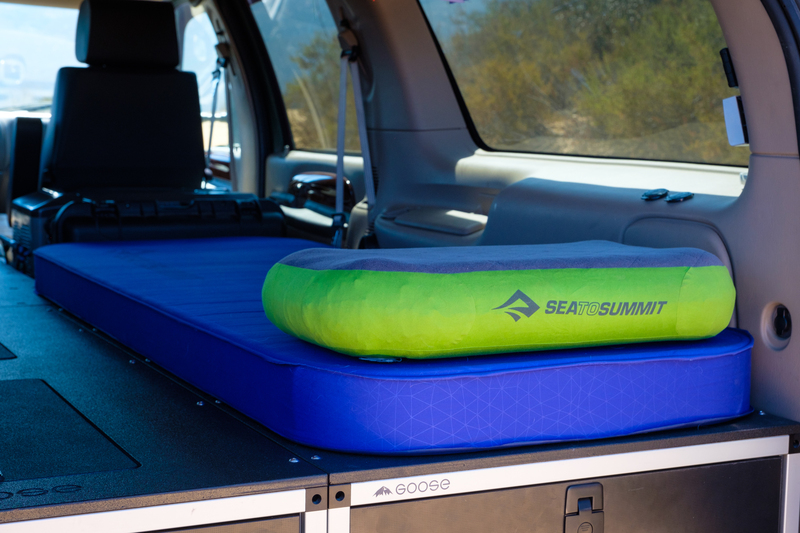 They’re available in 28-inch-wide and 33-inch-wide sizes, which gives you plenty of room for paddleboards, surf boards, planks of wood, kayaks, and countless other things. Their UV-protected fabric won’t rot in the sun and is durable enough to take abuse from whatever you throw on them. 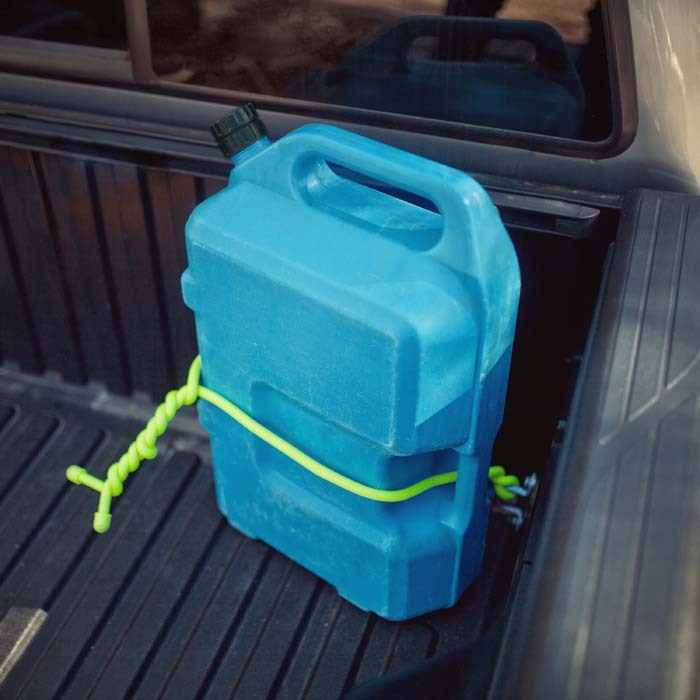 The universal kit even includes a set of straps to keep your load secure on the road. They’re a cinch to take on and off, and don’t look awkward or ridiculous on the roof—always a bonus. While they are so much better than pool noodles, they’re also more expensive, with online prices ranging from $55 to $80 USD with straps. 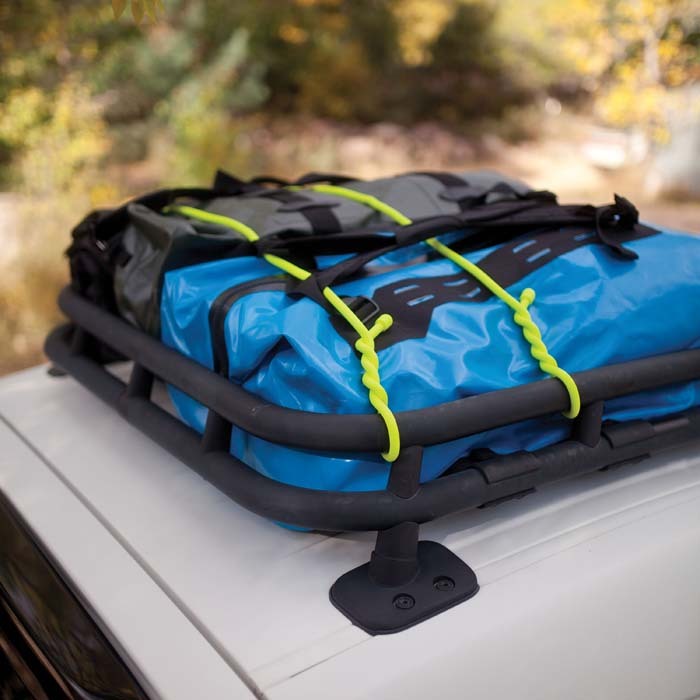 If you need to transport gear on your roof rack, but don’t want to invest in specific mounts for each type of boat, board, or other equipment, then these roof pads are a great solution. That’s all for the Gear Goody Bag this time but check back in a few months for more fun products in our next installment. 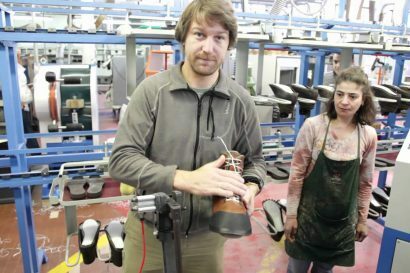 (Watch) How Zamberlan Boots Are Made!